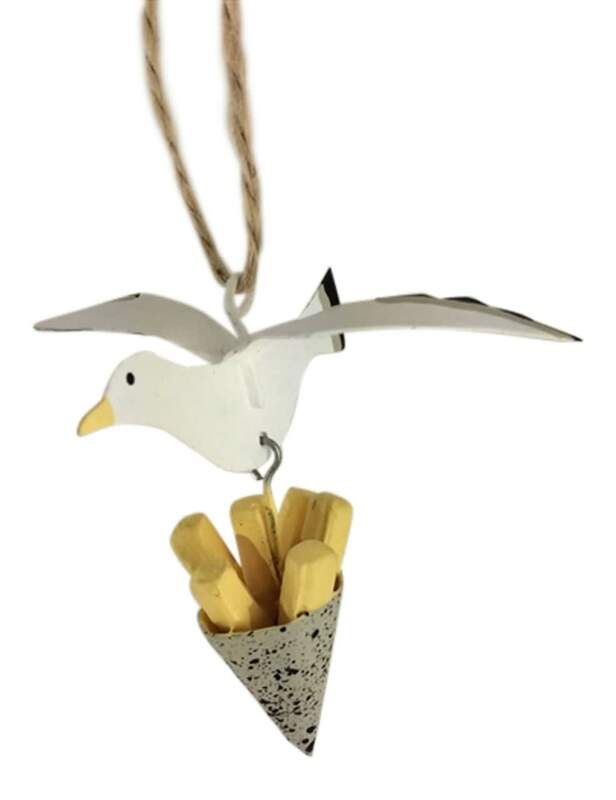 The Seagull and Chips Decoration will help you to commemorate the time you watched your lunch sail off into the distance. The metal seagull decoration is hand painted with a cone of chips attached beneath and comes with jute string for hanging. A perfect gift for seaside lovers!